Innovation and development in technology, especially in smart devices like phones, is often debated; while many mocking the actual point of its evolution, few argue that such drawbacks are bound in any progress and insist to acknowledge benefits rather downsides. Despite what might be expected, the expanding availability and development in smart gadgets provide an opportunity for teachers to exploit so called diverting devices, and utilize them at their best to encourage academics in students. “But How?” is an impeding question. The answer to the question is Management software. 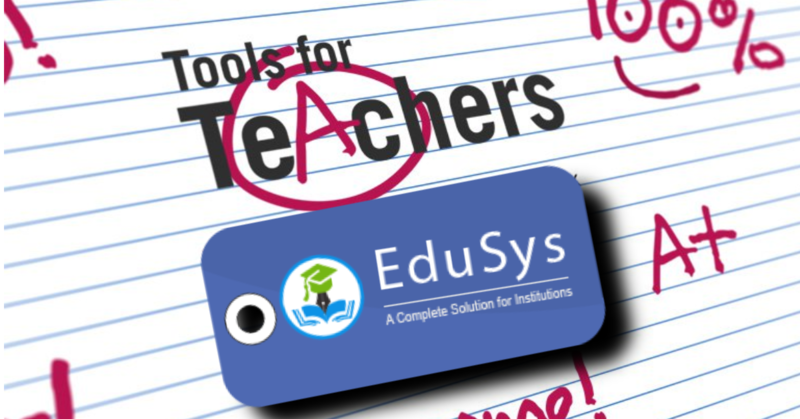 5 best teaching tools for teachers are listed below. Teaching Tools are part of ERP application/ system which aid in integrating education with smart devices thus, facilitating variety of methods to impart knowledge; from tracking attendance to creating online learning videos anything that helps students can be achieved with these tools. Consistency in education can be accomplished with regularity. Upgrading to real-time online attendance tracking method assists teachers to record presence or absence of students in classes, without errors and mistakes. LMS is combination of many customized modules which help students, teachers, management and parents. This e-learning platform succors educators in creating tests and assignments, trail students’ performance, distribute learning materials and many more. This application is appreciated for promoting distance education facility. Knowledge is never restricted to classrooms. Teachers who believe in this mantra tend to utilize innovative platforms to continue teaching beyond schools. 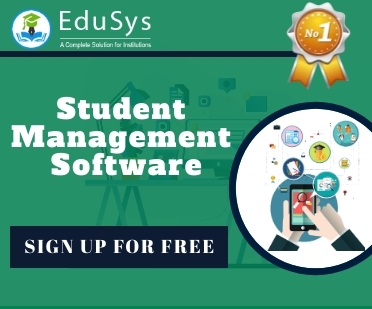 Classroom management system is one such utility that allows faculty to manufacture customized learning programs to addresses students concerns outside as well as inside classrooms hence, readying them for class activities. Assessment tool fashions healthy interaction between students and teachers. Creating polls, surveys, tests, and quizzes with automatic grading mechanism is made easy using this tool. This is an innovative approach to manage classroom by voting on topics or activities. Preparing curriculum is most time-consuming and difficult. With help of lesson plan tool (Timetable Management System) teachers can organize activities, accentuate areas of focus, and assign goals for student achievement, as well as fabricate and publish time tables for students at ease.